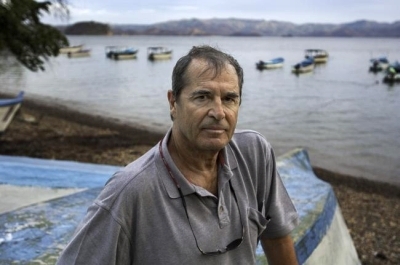 In case you missed it, celebrated travel writer Paul Theroux sat down for a couple hours with the UK Telegraph for a live Q&A with readers, and we’ve got your highlights here, including where Paul wants to die and his three hard-fast rules for travel. Question: Would you care to name 3 basic rules of travelling? Paul: Travel on the ground — avoiding air travel. Travel alone when possible. Keep notes. That’s it. Question: If you had to choose one residence in which to spend the rest of your days would it be in Hawaii or Cape Cod? If it wasn’t in either of these locations where would it be and why? Paul: In response to Mark: I have fantasies of checking out in a tiny village in rural Thailand attended by adoring villagers with chickens around, lying around, something like Mr Kurtz, except a lot jollier. But seriously, I love Hawaii and wouldn’t mind checking out there either. Question: How would you define the difference between a tourist and a traveller? Paul: The short answer, Jessica, is the tourist doesn’t know where he’s been and a traveller doesn’t know where he’s going but I also think that a tourist is under a time constraint, only has a week or two, where a traveller may have months to wander and improvise. Question: Do you feel advances in transportation and technology have dampened the experience or now make the experience far more comfortable? Paul: The best travel is probably not romantic or even much fun but is glamorous and enlightening only in retrospect. It’s not hard to get off the beaten track but once you are on it travel can be very hard – though always worthwhile. Question: Do you have any advice for like minded individuals who are looking to break into the world of travel writing? Paul: Patience, humility, a genuine interest in other people and an avoidance of writing about your health problems or how you’ve been delayed. No one likes to read about long waits or bad tummies. And it helps to be a passionate reader of everything – novels, history and travel. Paul: In my new book, The Tao of Travel, I list all the places that I would love to go, places I’ve never been, among them Greenland, Angola, Scandinavia, West Africa, many islands in the Pacific. I have the idea of going back to Africa and travelling up the west coast starting from Cape Town but I’d also like to write about the Northern Hemisphere, what I think of as The Cold World.